Watch out for this crazy alien from outer space! 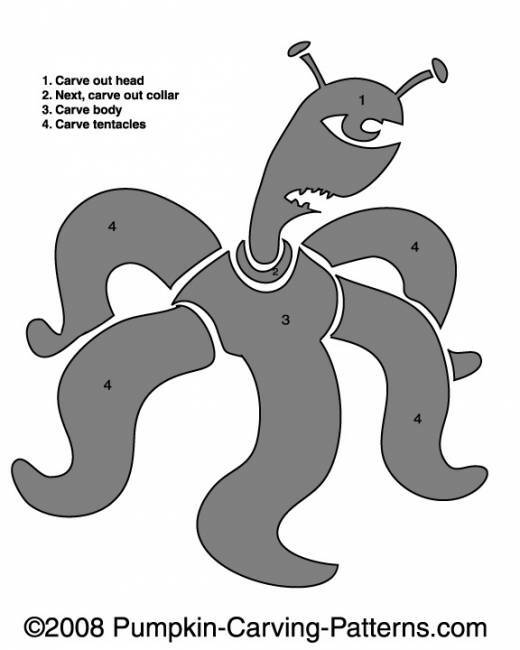 This pumpkin carving pattern is a space alien with 5 legs like an octopus. But this guy doesnt live in the ocean!